In January 2019, Jalon invited some of its partners and collaborators to learn the results of user tests carried out behind the wheel of autonomous cars. These tests were conducted in the fall of 2018 on the PMG test track in Blainville. What kind of experience do drivers really undergo when they “drive” an autonomous car? Are gender, age, and the driving of an autonomous car variables that can influence the experience in such a way as to make it more pleasant and relaxing? How do drivers’ prior perceptions compare to their actual experience in an autonomous car? Does the idea of alerting drivers about the vehicle’s upcoming actions make the experience more pleasant or relaxing? In general, it can be concluded that the experience was a positive one for a vast majority of the sample of drivers. The fact of being alerted about a manoeuvre, which can sometimes be sudden, also helps drivers have a more positive feeling of their driving experience. This first step in testing helped establish a few guidelines to delve deeper into certain interesting aspects, including human-vehicle interaction and the feeling of safety in an autonomous vehicle. Are you interested in learning more on this subject or in taking part in the discussion? Jalon will soon be starting up a community of interest on autonomous vehicles. Write to us to be kept up to date on upcoming developments! 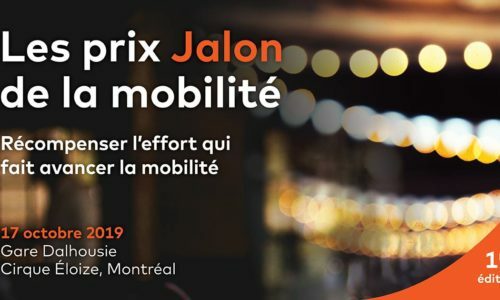 Jalon Mobility Awards – It’s a go!